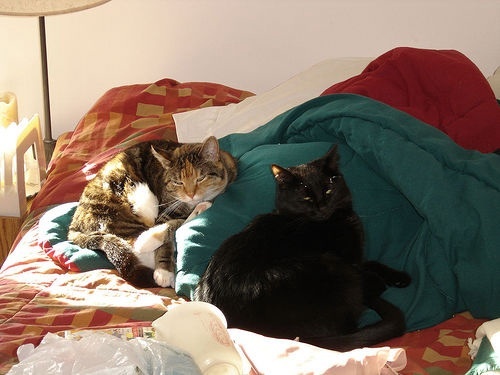 This first photo is of the two loving stepsisters snuggled up together on our guest bed. 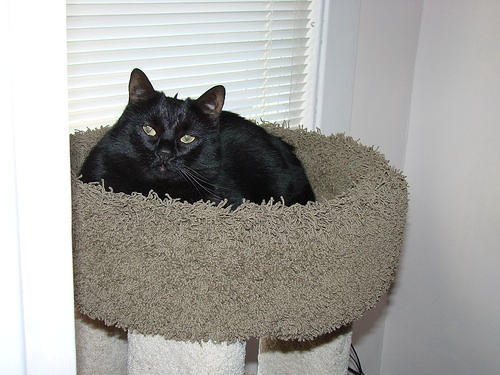 And here is a picture of Cliche on her beloved cat tree. Note that she is having a bad hair day with the tuft of hair sticking up on the top of her head, Alfalfa style.